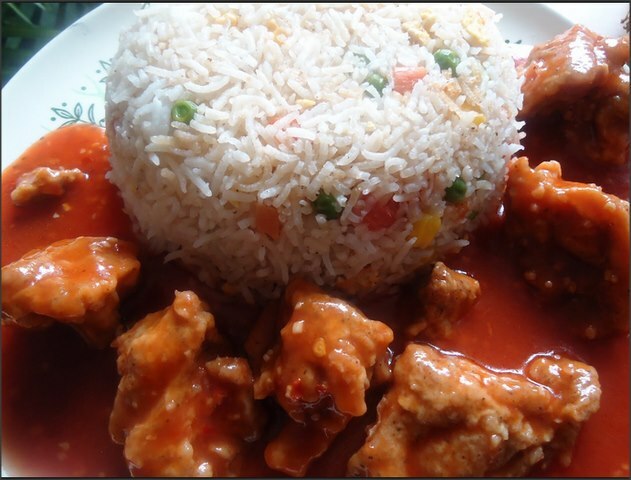 Chicken Manchurian is a mouthwatering recipe prepared in a tangy sauce. A tasty recipe by Chef Zakir. Serve it with boil rice or fried rice. Saute garlic in oil, when turns in light brown color, add chicken and pineapple. Cook till color of chicken changes then add Worchester sauce, slow the flame and add chili garlic sauce and tomato ketchup. Include lemon juice, mix and add salt, crush red chili, black pepper powder and 1/4 cup water. When come on boiling point, (increase flame) add corn flour paste and mix.